Prominent Swedish blogger Lars Wilderäng (Cornucopia?) made something of a splash amongst the Swedish defence community when he released his first novel Midvintermörker in 2011, widely hailed as the best Swedish techno-thriller since the Cold War. This was followed by the final part of the two-book series, before Wilderäng temporarily left near-future wars for other topics. Last year he finally returned to the battlefield with the book Höstsol (ISBN 9789176795439), which received it’s finale earlier this year with Höstregn (ISBN 9789176795842). As with the earlier series, the books describe how an escalating crisis eventually evolves into war, and how the Swedish Defence Forces and general society respond to the challenge. In typical Clancyesque fashion the narrative follow a number of persons at different positions whose lives are affected by the war in one way or the other. The characters enter and exit the story throughout in varied fashions, and with the exception of a handful of the main cast most remain rather flat to the reader. The decision is understandable, this is a story about a major war, and to try and tell too many stories in-depth at once would quickly have made the books twice as thick as they are. Less well-developed side-characters feels like a fair trade-off to keep the number of pages manageable. More disturbing is that especially in Höstsol a number of characters feel somewhat dumbed down. Yes Pjotr, you already mentioned that the whole of Gayropa is occupied by fascists, there’s no need to reiterate it at every turn. The portrayal of Swedish media is also a bit over the top in my personal view. These are largely the same issues that I disliked the most about Midvintermörker’s finale Midsommargryning, and they are especially tiresome as Wilderäng clearly is capable of writing interesting characters, Misja and major Bergäng being prime examples. But to be honest these aren’t books read for the depths of the character gallery, but for the vivid portrayal of how a modern society copes with war, and for possible scenarios leading up to one. While not the first one to raise the topic, Midvintermörker was likely the single most important factor in popularising the ‘Gotland-scenario’, and in the same way Höstsol creates an interesting and plausible scenario for how a crisis involving Sweden could come about. Most fascinating here is the work performed to mask the beginning operations as something other than war, and while I won’t go into details to avoid spoilers, Höstsol’s strength lies largely in the questions raised around the politics and how ‘hybrid’ scenarios could be adopted to a Swedish context. If much of Höstsol is a slow build-up to disaster, by Höstregn the reader is already in a full-blown shooting war. 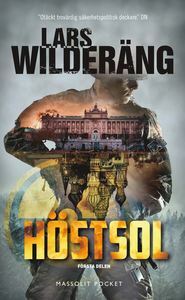 While the policy questions and study of international relations might not be as interesting, the quicker pace of Wilderäng’s war story makes the book the more enjoyable one from a thriller point of view. Still, there’s really no use in treating the books as two independent works, as the story is a direct continuation to the point that they need to be read together. I am somewhat torn about my final verdict. I still feel that Midvintermörker is Wilderäng’s strongest foray into the techno-thriller genre, but Höstsol is (by now at least) considerably more thought-provoking from a national security point of view. 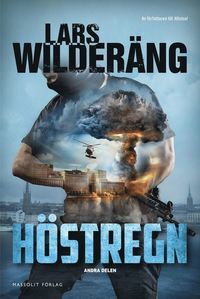 There is a tendency in both Finland and Sweden to have a rather sharply defined view of what wars are and how they start, and Wilderäng’s latest works serve as (enjoyable) reminders that by now we should have learned to expect the unexpected when it comes to Russian military planning. Jeffrey Lewis is something as rare as an arms control rockstar, sporting not only knowledge of his niche field, but sharing it primed with one-liners such as his (in)famous ‘goat rodeo‘-analysis of the US-North Korea relationship. Recently Lewis released his first work of fiction. Unsurprisingly, it is about a nuclear war with North Korea. The book, described as a “speculative novel”, has an interesting format in that it is written in the form a government commission report issued a few years after the events it deals with. This avoids the classic ‘non-fiction writer writing fiction’-trap of a subject matter expert actually not being that great at writing fiction, thereby dispensing with the need for a ghost writer. With that said, the book was not overtly dry in style, being on the more flowing end of the government report spectrum. The fact that the synopsis of the book is given in the introduction makes it a somewhat strange read. Like Cassandra in the opening quote of this review, the reader knows that things are going to turn bad, and can only watch as the actors (more than a handful of which are real-world politicians) happily stumble on towards the disaster. The attention to detail (including the baseball cap) adds to the non-fiction feel. A large number of real-world events from history have also been ‘reskinned’ and brought into the story. For the (amateur) historian some are immediately recognisable, while others are more obscure. The combination of current-day details and past episodes provide a strong case for that while this might be a nightmare, there’s really nothing in that promises that it will remain that way. And while the plot of the book is a nightmare leaving millions dead, it isn’t your worst one. The plot covers what is usually referred to as a limited nuclear exchange. There is no extinction event, no mutually assured destruction, just a couple of guys who aren’t deterred by what was supposed to be the ultimate deterrence weapon. Worse outcomes are hinted at, but the fact that the story never evolves into a full-blown apocalypse means that it is still possible to somehow grasp the huge amount of human suffering that even a limited nuclear exchange would cause. The decision not to invoke mutually assured destruction is one of the keys to why the book manages to hold the reader’s interest the way it does. The basic premises of the book likely doesn’t come as a surprise for followers of Lewis’ writing or the Arms Control Podcast. This issue also hints at the single major flaw of the book, namely that it is likely that it is preaching to the choir. That is no fault of the author, nor of the book he has written. However, as the issue of the North Korean nuclear program is so closely associated with Trump, it seems impossible for the plot to be judged on its own merits and credibility. Nor will it likely be picked up by the people that would benefit the most from reading it. That’s a shame, as The 2020 Commission Report deserves a fair chance as a warning for our particular time. Let’s just hope Lewis doesn’t turn into a modern-day Cassandra. The twin battlecruisers (or battleships) of the Scharnhorst-class are amongst the most fascinating warships built during the 20th century. The graceful lines hide the fact that the vessels were built with full battleship armour, and I still have a hard time wrapping my head around the fact that the vessels displacing over 30,000 tons were capable of reaching speeds above 30 knots. From an engineering viewpoint, they were simply astonishing, the very more so considering the limited experience of designing and building modern capital ships the German yards had when they were launched. Still, their operational service wasn’t quite as spectacular, most of the time being spent in port. It is telling that one of the more important episodes was the channel dash, in which the two vessels together with the heavy cruiser Prinz Eugen (famous for making the battleship Bismarck company on its sole major operation) sprinted from Brest through the English channel and back to Germany. The strategic retreat was a stunning success in the short term, but also effectively removed the threat from surface units to the allied transatlantic convoys. When I first opened Genombrottet (Swedish for “Breakthrough”) the channel dash was not new to me. However, my understanding of Unternehmen Zerberus as it was known to the Germans, was limited to the handful of sentences usually dedicated to the operation in books covering the broader naval war or air operations over the channel. In short, I believed that the operation simply constituted of the German flotilla setting sail in broad daylight and sprinted through the channel without any major obstacle other than Royal Navy and the RAF, and as these failed to put up any serious resistance it wasn’t really all that complicated in the end. I had not realised that the navigation in itself was a major obstacle due to the strong tides and shifting sand banks. I also hadn’t quite grasped how substantial the mining of the area by both sides was. And lastly, I had no idea how well-informed the British forces were with regards to the German intentions. Combined these factors means that the operation was a complex undertaking, with both sides sporting several moving pieces which the commanders tried to manage, more or less successfully. This provides for a fascinating story, where seemingly small issues have major effects on the outcome of the operation. If ever there was a textbook case regarding how frictions work in a military settings and why joint operations are hard to manage, it is Cerberus. The account is gripping, and is being retold from numerous different angles. Some of these are based upon interviews made by the authors of surviving veterans, others are pieced together from numerous first- and second-hand sources. The book reads like a novel, with the real persons involved having dialogues and thinking the occasional non-plot related thought. Being able to follow the daring operation as its plays out, blow by blow, it is hard not to be caught up in the excitement, even as the general outcome is known to the reader. The fact that the moves and countermoves are described from their initiation also means that the reader gets an understanding of the significant work going into what eventually becomes a couple of minutes worth of actual combat in any of the skirmishes taking place along the route. This makes it possible to understand not only the ‘how’ of the operation, but also the ‘why’ behind the events that shaped it. I am a bit torn about the narrative perspective. It certainly makes the book easy to read and enjoyable, even for those not familiar with naval warfare in the Second World War. However, I am a history nerd, and I do prefer a somewhat ‘drier’ style of storytelling, where solely the known record is laid out. Objectively, there is nothing wrong with the writing of Genombrottet, it is usually possible to tell simply from the scenes where the line between fact and storytelling goes, and in the few unclear cases it is explained in the footnotes. Genombrottet is certainly non-fiction (as opposed to historical fiction), and I want to be clear that my main issue with it comes down to preferences of style rather than any fault of the book. In the end, the book is highly recommended. Both writers have good knowledge of the subject, with Tamelander having written numerous books about WWII, including Bismarck about the battleship’s fateful journey, and Hård af Segerstad is an active duty naval officer. The duo has earlier produced a book about the german submarine force in WWII, Havets vargar. Carrier aviation has always had a tendency to interest people. After all, flying aircraft of ships sounds crazy enough than one wouldn’t think it was a viable plan of operations if not for the very fact that a number of navies does so on a regular basis. Interestingly, quite a number of important changes have taken place when it comes to worldwide carrier operations in the last decade or so. This includes several new carriers being commissioned, and new aircrafts coming into service, making much of what is written on the subject out of date. Enter Harpia’s Carrier Aviation in the 21st Century – Aircraft carriers and their units in detail. The book goes through all navies currently sporting a commissioned carrier and fixed wing aircraft, and with “currently” that means the end of 2017. In short, the Royal Navy and Queen Elizabeth is included, but the Thai Navy is not following the retirement of their Harriers. Navies with more or less suitable ships but not having fixed wing aircraft, e.g. the Japan Maritime Self-Defense Force, are left out. Readers can, and most likely will, have opinions about this line. Some will undoubtedly feel that it is a stretch to include Brazil considering the state of the NAe São Paulo (ex-Foch) or the Royal Navy considering that shipboard F-35 operations are yet to commence. Others will likely argue for a inclusion of a number of big-deck helicopter carriers and amphibious ships which arguably sport more shipbased aviation than some of the smaller ‘Harrier carriers’. Personally I would have liked to see some discussion around the feasibility of F-35B operations from a number of ships that have been speculated to be more or (usually) less ready to handle the V/STOL bird, such as the Japanese Izumo-class, the Australian Canberra-class, and the Dokdo-class of the ROKN. Still, I get that the line has to be drawn somewhere, and the basis of who’s included and who’s left out is clearly stated, which is nice. One interesting feature of the book is that it puts the carriers and their aircraft into context. While chances are you have read a text or two about the INS Vikramaditya and its MiG-29K’s before, the book does not only (briefly) discuss the history of Indian naval aviation to put the latest program(s) into context, it also explains the contemporary doctrine and what role the carrier plays in today’s Indian armed forces, the likely composition of a carrier battlegroup, and not only lists but describes all embarked aviation units, fixed and rotary winged. More or less the same is the case with each and every country-specific chapter of the book. I say more or less, because every chapter is written by a country-specific expert (hence the ‘editor’ after Newdick’s name), and the setup and sub-headings vary slightly. While purists might find this irritating, I personally find it good that the authors have been given some leeway, as the unique situations in different navies are better served by getting more custom fit descriptions compared to being shoehorned into a ‘one size fits all’ template. I was a bit worried upon opening the book that the variances would be so big that the book wouldn’t feel like a coherent work, but having read it I don’t feel that is the case. Over all the book is a very enjoyable read, though the Italy-chapter does suffer from the same kind of language-issues that I mentioned in my review of Harpia’s Tucano-book. However, I am also happy to say that the good points of the Tucano-book carries over as well. These include highly enjoyable pictures and top-notch full-colour illustrations, as well as excellent build-quality of the book. In fact, I am yet to manage to break any single one of my Harpia-books, and that include bringing an earlier review book along for a camping trip in the archipelago. The gorilla in the room when writing about carrier aviation worldwide is the completely outsized role of the US Navy. In short, the US Navy fields more and larger carriers and carrier air groups than the rest of the world together. How do you tackle this, without the book feeling unbalanced? The USN does indeed get a longer chapter than the rest of the countries. However, US carrier aviation is also remarkably homogeneous, being built around two clear templates: the Nimitz (and now Ford) with a carrier air wing and the smaller amphibious ships with their aviation elements, and the number of flying platforms has shrunk considerably compared to the classic cold war wings. This means that there is no need to give ten times the space for the USN compared to e.g. the French just because they have ten times the number of carriers. This makes the book feel balanced, and laid the last of my worries to rest. The sole issue I foresee is that developments in carrier aviation is moving rapidly in several countries at the moment (USA, UK, China, India, …), and that means that parts of the book run the risk of becoming outdated quite fast. Still, that will be the case with any book on the topic released during the next five to ten years (at least), and there is certainly enough ‘longlasting information’ to make sure that the package as a whole isn’t going anywhere soon. Compared to the Tucano-review which I was very excited for, I was somewhat more lukewarm to the prospect of what felt like yet another carrier book. However, the book surprised me, and certainly grabbed my attention. The chapters are deep enough to include plenty new information to me, and of such a length that it is easy to pick up and read through a single chapter if you suddenly have a need for a quick rundown of the current status of Spanish carrier aviation (yes, such things do happen to me occasionally). Harpia’s telltale illustrations and tables are also found in abundance. Highly recommended for anyone looking for an update of carrier aviation worldwide! The book was kindly provided free of charge for review by Harpia Publishing. Chances are that if you are a reader of the blog, you have spent some amount of time thinking about NATO’s northeastern flank. The defence of the Baltics has become an issue of considerable debate, with the Suwałki gap doing its best to become the Fulda gap of the 21st century. At some point one start to wonder how a confrontation would play out? What difference would it e.g. make if NATO sent reinforcements into northern Poland? Enter Next War: Poland, an old-school hex-and-counter wargame with all the bells and whistles to warrant an interest also from the professionals. It arrives in a nicely sized box, which is packed full with two maps, plenty of countersheets, and all the rule and scenario books you need. For a full review of what’s in the box, check out this video on GMT Games’ YouTube channel. …and, yes, the box isn’t one of their better-looking ones. I have a hard time figuring out why GMT chose the mix of pictures of completely different styles. It is especially puzzling as they have some quite spectacular boxarts amongst their offerings, such as Labyrinth or Pendragon. The maps consist of two completely different ones, one of which is the hex (‘operational’) map which cover the northern part of Poland and into the southern corner of Lithuania. Here the main battle is fought, where brigade and division level units (and the occasional battalions) run around and collide into each other. However, as we all know a major part of the fight would be to get units into theatre. This takes place on the second map, the strategic display. In essence, this cover the Baltic Sea and surrounding land areas, and consists of land and sea regions, as well as holding boxes representing out of area assets (naval units in the North Sea and long-range air units). Here it is possible to fight the battle for sea superiority in the Baltic Sea, to conquer the Baltic states, and to drop a bunch of airborne units on Gotland to exercise control of the shipping lanes and air space if you are so inclined. There are a basic and advanced rules, as well as basic and advanced air rules. The basic rules are rather straightforward for a wargame, while the advanced ones are close to a full-on simulation. Under the advanced rules, the strategic display, a detailed logistics system, and a host of support weapons ranging from short-range ballistics missiles to artillery makes it possible to simulate the Russian A2/AD-bubble and NATO attempts to breach it in all its glory. The game is complex, there’s no denying it. Multiple factors are at play throughout the turns, and keeping track of everything does feel slightly overwhelming at times. Part of this is due to the modularity of the system. The Next War-system, Poland is the fourth volume, is based on a set of common rules, some of which are shared between basic and standard games, some of which are differing. Then comes the game specific rules, which as the name implies cover things specific for the Polish theatre, as well as the scenario rules. This leads to quite some browsing between the different booklets at times. On the other hand, the modularity is without doubt one of the strengths of the game. In essence, it is one great sandbox, and while it does feature a number of different scenarios with varying levels of NATO reinforcements forward-deployed to the area, there’s nothing stopping you from gaming out different scenarios according to your own liking. The same can be said about the rules, where it is rather easy to pick and choose, e.g. to combine a full set of logistics rules with the basic air war. The sheer number of rules can make the game feel a bit overwhelming at times. Still, the gaming aids are top-notch, and help considerably once the game starts going! The fighting follows a rather standard pattern, with units from one side attacking a neighbouring hex, possible support being allocated, and a number of modifiers come into play depending on everything from how well units cooperate to the type of terrain. A single die roll then resolves each battle, with the result being cross-referenced with the final combat ratio on a combat results table, which sports both die-roll modifiers and column shifts. The advanced air rules are a blast to play, and lets you pit individual squadrons against each other, while the naval rules are by far the most abstracted, and in my opinion, weakest ones. It very much feels like the navy is only included because NATO need to be able to leverage the carrier strength of the US Navy and to have a means of transport for the US Marine expeditionary force headed for the beaches of Kaliningrad or a nice Polish harbour. An interesting concept is the initiative mechanics, whereby one of the players might have the initiative for the whole turn. This provides additional movement and combat phases, representing an attacker having the momentum, but can also easily lead to overstretching as the game also simulates the downsides of pushing the units hard to try and keep up the momentum. If the initiative player isn’t able to keep up the steam, judged by the amount of victory points during the last turn, the turns becomes contested until either player manages to secure the initiative again. This is a prime example of how complex real-world effects are taken into account and integrated into the game by relatively straightforward means. There are some weaknesses with the game. The maps are nice, but they are printed on thick paper and not mounted. This is the usual way when it comes to wargames, and it is a nice paper quality. Still, it is something worth noting for any non-wargamers stumbling upon this. The player aids are also printed on the same thicker paper, and are in full colour. The main issue for me personally is however the scope of the hex map. As it sits now, it covers the majority of the Kaliningrad exclave, but not quite up to its northern border. In the same way, the southern part of the Suwałki gap is covered, but the battle for its northern end will take place solely on the strategic display. And if the player wants to do a Bagration 2.0 and head for Warszawa from the south, that would be outside the scope of both maps. I understand the reasoning though, because it ties in with another issue. The maps are 56 x 61 cm and 56 x 86 cm respectively. In addition you will have a number of cups with all counters that doesn’t happen to be on the board at any given moment, and it is usually a good idea to have the rule books and player aids nearby. All in all, this might not be the game for you if live in a small flat. Effectively doubling the size of the operational map by extending it towards Vilnius to the north and Krakow to the south would mean that any game would require quite a bit of property to be properly set up (with that said, if a double size map covering Vilnius to Krakow would be offered as an add-on, I would certainly buy it!). A Russian armoured unit have broken through a gap in the lines and is heading west, but risks a potential supply shortage as Polish infantry dug in in the main cities still control the road network. The observant reader will notice that a pattern emerges. The scope and complexity of the game is intense, but at the same time its greatest strength. Already with the relatively limited playing time I’ve had with it I’ve learnt new things with regards to the real world situation. It should be stressed that the complexity is based on the fact that modern conflicts are complex and multifaceted, and it never feels like the rules are complex just for the sake of it. Instead, while I am a novice when it comes to hex-and-counter games (my sole earlier experience is described here) I felt that my understanding of real-world conflicts helped me get going with the game. The rules felt logical, and it was easy to grasp what the designer was going after with any single point (though as noted memorising the whole lot was quite something else!). I also never felt like I encountered any significant case of a real-world factor missing (there’s even rules for refugees clogging the roads during the early stages of the conflict), which is high praise for a wargame in my books. The game isn’t for anyone, but neither is this blog, so I have no qualms about highly recommending it to any of my blog readers with an interest in conflict simulation! …and before anyone asks: Finland isn’t included, Sweden joins NATO with their Air Force and SOF units if Russia invades Gotland (P 18 is missing), Norway is missing, while Denmark is a fully featured though minor NATO-country. Oh, and we certainly need a volume in the series situated in northern Finland/Sweden/Norway. Please, GMT?